Thank you for your interest in the @PUNC project. 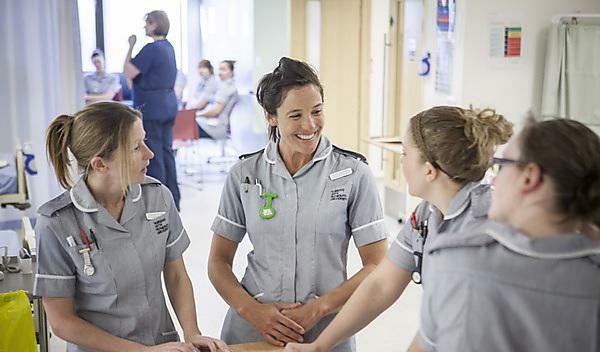 At the University of Plymouth, we try to prepare our nursing students to work in the health and social care systems of the future, ensuring they have a broad base of clinical, professional, and personal skills that allow them to adapt to new situations. We want our graduates to be experienced and confident in working not only face-to-face with patients but also with other disciplines and in other situations such as online. The aim of the @PUNC project is that our students learn to be 'digitally professional' and to take advantage of online discussions with other students, colleagues, and the public. Our students know that their discussions on Twitter are open to public view and that neither they nor the people they are 'tweeting' with should disclose too much personal information. We encourage our students to take an evidence-based approach to all aspect of their work and to include links to papers and reports as well as learning from the personal experiences of their contacts. We thank you for engaging with our students online. A paper describing the impact of Twitter on the first two cohorts has been submitted for publication and a link will be added here as soon as it has been published.